As more and more secular funerals are taking place, there is a need for appropriate texts. The Poet Laureate spoke recently of the importance of ‘epitaphs’ for people: poems or songs which commemorate their lives. 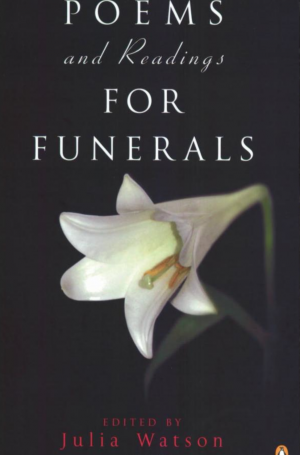 Actress Julia Watson, married to the poet David Harsent, was confronted with the issue when her father died, and the result is this inspiring collection of 70 poems and prose extracts suitable for reading at funerals and celebrations of a life. The selections range from Shakespeare to Chief Tecumseh of the Shawnee Nation, from Christina Rossetti to St Francis of Assissi, and included are some very short pieces which could be printed on an order of service.